Yi He and Cihan Göksu have received funding from Lundbeck for two highly interesting projects. Yi He has received a grant of the amount of DKK 2,1 million to continue his research on integration and optimization of multimodal brain mapping technologies at DRCMR over a period of two years. 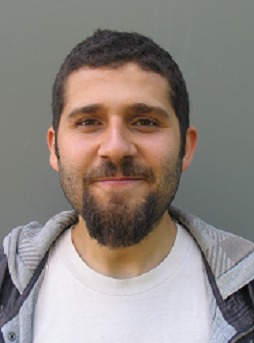 Cihan has been awarded with an International Postdoc of the amount of DKK 2,1 and focuses on the development of a more robust and fast MR Method less sensitive to noise. Yi He's research is focused on integrating and optimizing multimodal brain mapping technologies (MRI, Cell-typespecific Optical readouts, Optogenetics, etc.) to investigate functional and structural prperties of the brain at multiple scale (cell, microstructure, global network). Yi He is a young talented researcher who did his Ph.D. in MPI Germany, where he combined fMRI with simultaneous intra-cellular calcium recording to investigate function activity and connectivity from the perspective of single vessels. After Ph.D. training in small animal fMRI, he was interested in obtaining the training in diffusion MRI and clinical MRI and decided to join the DRCMR as part of the MAX4 Imagers Project. Yi’s project granted by the Lundbeck Foundation is focused on establishing and validating the quantitative link between functional features and microstructures during de-/re-myelination animal models and translate the quantitative link to Multiple Sclerosis (MS) patients. The integration of multimodal MRI (dMRI, qMRI, fMRI), MR compatible tools, and synchrotron imaging will enable us to establish the missing links between microstructural axonal changes and resulting functional changes in damaged brain networks. He expects to bridge the scales from the cellular to the network level in brain and disentangle how myelin loss and axonal degeneration leads to network dysfunction. By leveraging this unique multimodal approach, this project will provide novel MRI-based biomarkers and insights into the pathophysiology of demyelinating or neurodegenerative diseases. Cihan Göksu is an electronics engineer and MR physicist working on MR methods development and non-invasive brain stimulation techniques. His main focus is on accurately determining and characterizing electrical conductivity of the human brain tissues that may be useful for various neuroscience applications. Cihan demonstrated in his Phd the world's first magnetic resonance imaging (MRI) method that can unambiguously record the magnetic fields caused by weak electric currents injected into the human brain. This is an important step forward for “MR electrical impedance tomography” (MREIT), which is aimed at mapping the ohmic conductivity of living tissue, but the method nevertheless still suffers from sensitivity to irrelevant field changes, i.e. physiological noise, and long acquisition times. Cihan's project is an international Postdoc funded by the Lundbeck Foundation, and he will therefore spend the first two years in Max Planck Institute for Biological Cybernetics in Tubingen, Germany, and the last year at DRCMR, Hvidovre Hospital, Denmark. The project is about developing a novel fast MR method with very high sensitivity to the current-induced magnetic field changes, using his existing method as benchmark. He aims to make both methods robust against the physiological noise, and to achieve more than 10-fold sensitivity increase by means of 3D volume coverage and Ultra-High Field MRI.